Yamazaki Mazak manufactures environmentally friendly machine tools, made from reusable and recyclable materials that offer best-in-class energy and waste-saving performance. 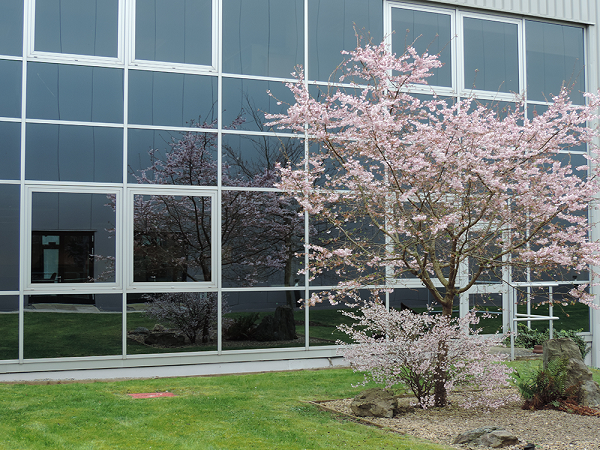 We also ensure that our manufacturing processes and commercial operations across Europe adhere to the highest standards of environmental protection, protecting and improving the communities in which we do business. Our environmentally sustainable business practices are geared towards reducing the company’s carbon footprint and eliminating any environmental impact from all of our processes, products and services. We constantly educate our employees about environmental protection and work closely with our customers and suppliers to improve their own environmental performance. 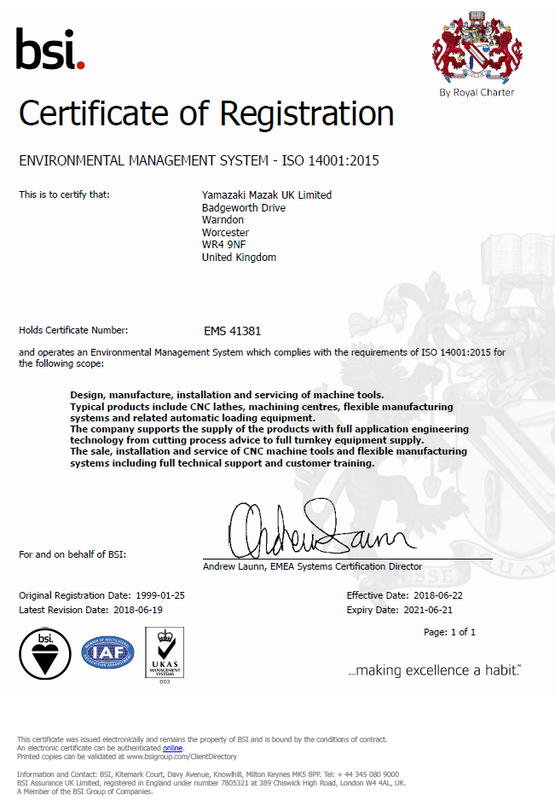 To facilitate this constant improvement, Mazak operates the BSI accredited Environmental Management System (ISO 14001: 2015) which enables us to continuously assess all risks and opportunities for further environmental improvement. This is facilitated through the setting of documented environmental objectives and the Energy Saving Opportunity Scheme (ESOS). In recent years we have worked diligently to reduce our packaging waste, in line with the Producer Responsibility Obligations (Packaging Waste) Regulations 2007, towards our target of zero waste to landfill. We also understand our obligations to human health and the environment, for employees and suppliers, and the risk posed from the use of chemicals. We have worked hard to identify and limit the use of chemicals, in line with our obligations under REACH (HSE – Registration, Evaluation, Authorisation and restriction of Chemicals) whilst applying appropriate risk management measures. These measures have also been communicated to our supply chain and we have engaged with suppliers to request formal assurances of their intention to comply with the REACH obligations.